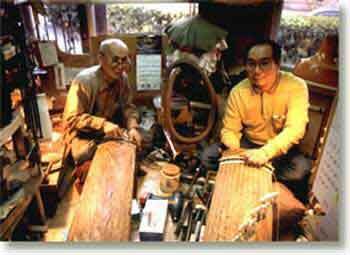 Handmade stuff does the Japanese harp(KOTO) of the Japanese tradition instrument in our store. Make it more than the log of the paulownia. There is a Japanese harp(KOTO) from 62790 yen. Refer to the Japanese page for a price by revision of a taxation system. Ask for mail, telephone in Japanese.